Have you ever been swarmed by a rodent infestation, or been plagued by a horde of the creepy crawlies? Have you avoided calling a pest control company because you believed they were going to spray their nasty chemicals all over the place and make everything a toxic wasteland? Well, think again. 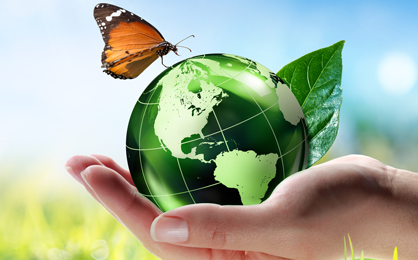 SITA Pest Control Services understands the importance of both their mission of protecting you from pests, as well as their responsibility to be as environmentally conscientious as possible. At SITA Pest Control Services, we practice IPM, or Integrated Pest Management, as well as Eco-Friendly pest control measures. Monitoring: Regular site inspections, will allow professionals to determine the nature and the level of the infestation so treatments can be more accurate. Record-Keeping: This is essential. It allows professionals to recognize trends and changes in pest pressure. Therefore, they should keep detailed records of activity for each location. Action Levels: Pests are rarely eliminated. It’s vital to understand the level of each pest, to manage pest pressures effectively. Prevention: Prevention incorporates the existing structure(s), like patching holes in screens or walls, which is called exclusion. Exclusion is just as important as keeping places clean and free of the things pest look for, like food, water, and harborage (shelter). Prevention should be the primary means of pest control in a good IPM program. Tactics: Under IPM, chemicals should only be applied as an absolute last resort, and even then the least toxic options are preferred. Furthermore, a carefully targeted application should be made to minimize the use of material and increase the effectiveness of the application. Evaluation: A regular evaluation program ensures the success of the pest management program. An Eco-Friendly approach is even more encompassing. It is the kind of approach that helps ensure there is minimal impact on the rest of the ecosystem. Insecticidal Soaps: These soaps utilize the salts and fatty acids within them to target many soft-bodied pests, such as aphids, whiteflies, mealy bugs, and earwigs. The soaps penetrate the soft outer shell of these and other pests, causing damage to the cell membranes. Insecticidal Oils: These oils work by suffocating the pest. The oil coats them with a petroleum-based, horticultural grade liquid, cutting off their oxygen supply. It is primarily used to kill the eggs and immature stages of insects. Diatomaceous earth: DE is the fossilized shells of algae. Even though these fossils are microscopic, they have sharp edges and protrusions that damage the internals of pests. The best part of diatomaceous earth is that it is not a poison at all, but controls pests due to its abrasive nature.